Inspire your home décor by viewing more Home Décor spray paint projects from Krylon®. Set up a well-ventilated area with a drop cloth to prepare for spray painting. Clean the glass pieces using an anti-static wipe. Place the glass chess pieces on a drop cloth. Make sure the placement of each team’s pieces are far enough apart to avoid overspray. After reading product label for proper application and safety instructions, spray the first set of chess pieces using Krylon® Sea Glass Finish in Lemon. Multiple coats may be required in order to achieve desired level of intensity. 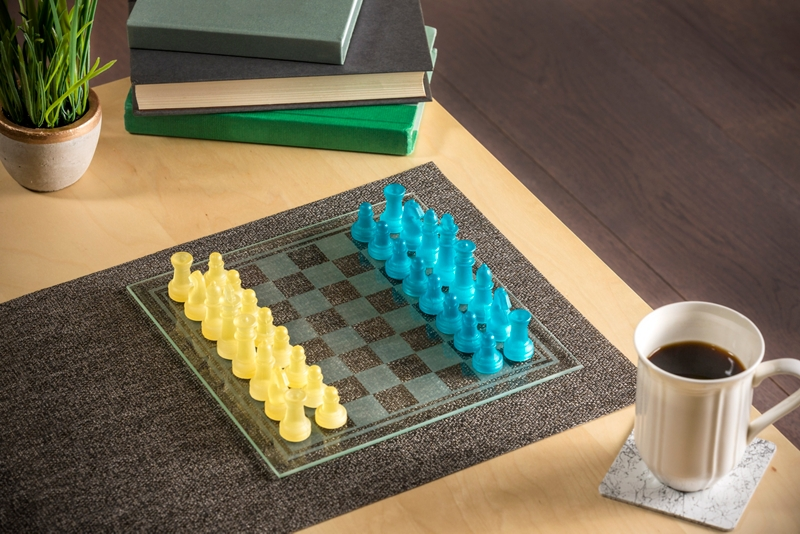 Spray the second set of chess pieces using Krylon® Sea Glass Finish in Aqua. Multiple coats may be required in order to achieve the desired level of intensity. Allow time for all chess pieces to dry completely before use.